Thanks SO much for your purchase. That book, calendar, journal, consultation or product you’re buying makes a BIG difference to us. You’re directly supporting our work in helping people grow good health all over the world. You’re helping us share our vision and global education to help others enjoy the rewards of growing their own food and living more sustainably! You can feel good about that. So a HUGE thank you … Now, let’s see how we can help make this shopping experience easy for YOU! To check out all the awesome goodies in our Shop, SCROLL DOWN and click the category or item you want. If you live outside Australia, you’ll see prices in $US. 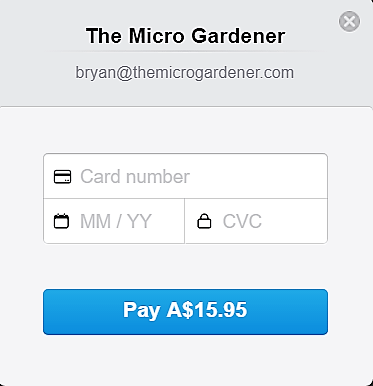 We offer 4 secure payment methods: By credit card via Stripe; by PayPal*; Direct Deposit within Australia or the United States; or secure PayPal payment link (just phone us on 61-7 5445 9194 or email anne@themicrogardener.com to place your order). By Stripe – just select and then enter your credit card details. No Paypal account? No problem. 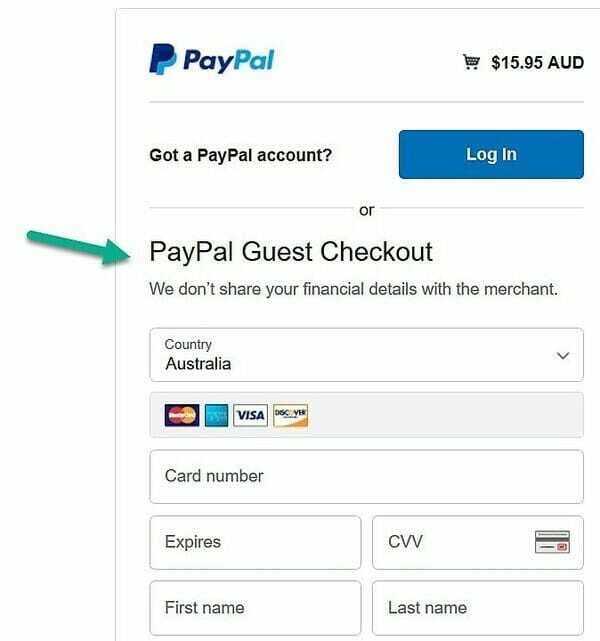 Simply checkout as a GUEST on the Paypal page. 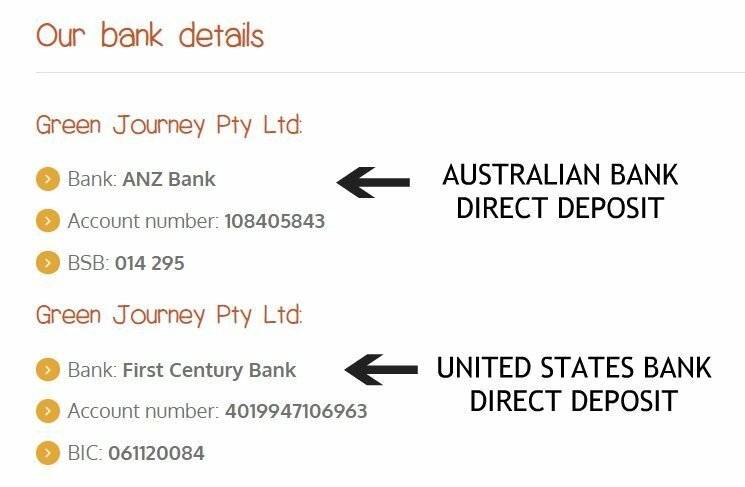 For Direct Deposit payments in Australia or the United States, select the box for Direct Bank Transfer. Then choose the bank details for either Australia or the US. How do I change the Country when calculating shipping? The default country is Australia. To change this, just hover over the down arrow and select your country from the drop down menu list. Click ‘Update Totals’. How do I change the quantity I want to purchase? The default quantity is one (1) for all products. Use the (+) to add or (-) to remove items from your basket. You can do this at any time until payment. To see all the goodies in your Cart, click on either the shopping trolley icon in the top right of your screen or select ‘View Cart’ from the Shop menu. When I click View Cart, how do I proceed to Checkout? Then simply KEEP SCROLLING DOWN to complete the shipping, promotional code (if using) and checkout. How do I take advantage of a promotional Coupon Code? If you have a special code with a limited time discount offer, type it into the Promotional code box. Check the code word is spelled correctly and select ‘Apply Code’. If you get an error message, you may be trying to apply the code after the offer has ended. If you are still having trouble with a current offer, please use the contact form for assistance. How do I read Product Reviews? At the top of each product listing, you will see the price and star rating. Where customers have left feedback, simply click on the link in brackets to read all reviews. We’d LOVE your feedback! Tell us YOUR story about how you’re using the product. Visit the product page to share your experience, ask a question and rate your purchases. When was the last time you stopped to tell someone they did a good job? Or a product you loved? We hope you’ll take a moment today to pay it forward. We keep prices to a minimum, but exchange rates in some countries can bump up the total price. e.g. Canadian dollar. If this is an issue for you, please contact me and we’ll do our best to accommodate your situation. I have another question about my purchase – how can I get help? No worries. Send us your questions on the Contact form and we’ll help you as soon as possible. Please be a little patient if you live outside Australia if we don’t get back to you immediately. Sometimes we need to sleep, but we’ll reply as soon as the sun’s up here! You can also email anne@themicrogardener.com. Shipping is by Australia Post and all postage costs are calculated automatically. We don’t charge extra for handling, saving you money. The product short description of some items and special offers may state they are not sold outside of Australia. This is because we think the shipping costs for these weights are just excessive. Not our fault or yours, just how it is. If you still want to purchase these items just email me and I will let you know the shipping cost so you can make your own decision. 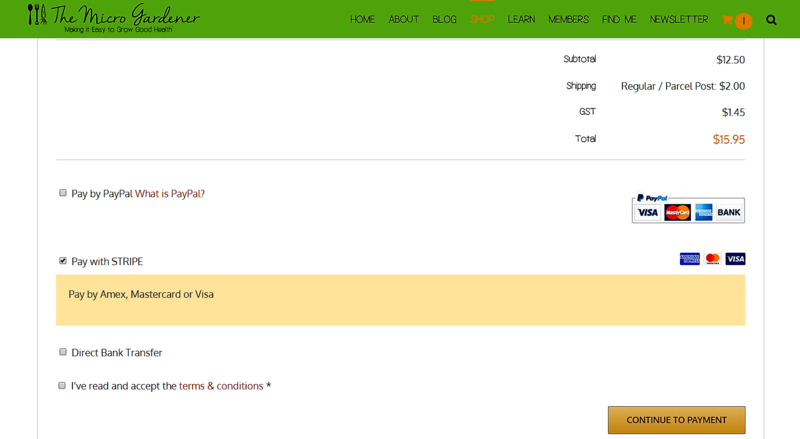 Prices displayed in the shop are exclusive of GST which will be calculated and shown separately in your cart. DVDs are only available in PAL format. Please check the country details on DVD products to make sure this format suits your equipment. Sorry, but we can’t take these back once shipped if you make an incorrect choice. We warrant that all products we sell are free from any defect. If it is demonstrated that a defect exists we will replace the product at no cost to the buyer. We will accept return of products unconditionally provided they are returned in original condition. Postage will be borne by the buyer (unless we are replacing the product in which case we shall bear the cost of postage). We believe that to the best of our ability we have complied fully with Australian Consumer law on this website.